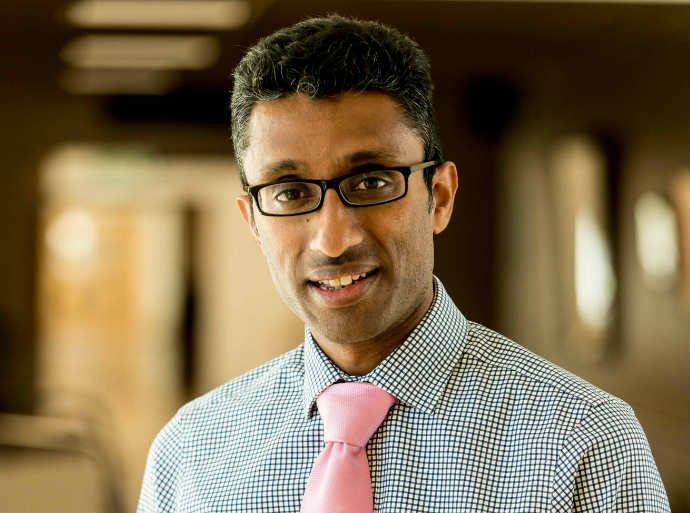 Dr Suntharalingam is a Consultant in Respiratory Medicine and General Internal Medicine at Circle Bath Hospital, where he offers a weekly outpatient service on Wednesday evenings. Dr Suntharalingam qualified from St George's Hospital Medical School, London in 1997, having achieved First Class Honours in his Intercalated BSc and a Certificate of Merit in his Final MBBS. After undertaking a number of junior doctor posts in London, including posts at specialists Respiratory units at the Royal Brompton Hospital, the Lane Fox Unit at Guys and St Thomas’ Hospital and St George’s Hospital, he moved to the South West to start his specialty training. In 2005 he began a period of research in Pulmonary Hypertension at Papworth Hospital that culminated in the award of an MD, in addition to a number of publications. In 2007 Dr Suntharalingam was appointed Consultant in Respiratory Medicine and General Internal Medicine at the Royal United Hospital Bath where he is currently Lead Clinician for the department. Clinically he also leads the COPD, Home Oxygen and Pulmonary Hypertension services. Nationally and regionally, Dr Suntharalingam has a profile in Pulmonary Hypertension, having sat on the British Thoracic Society PH Specialist Advisory Group and the NHS Specialist services Clinical Reference Group, in addition to leading a regional shared care service, serving a population of 4 million. In 2016 his Pulmonary Hypertension work was recognised with a regional Leadership award. Dr Suntharalingam also has a national profile in Home Oxygen, currently co-chairing the British Thoracic Society Home Oxygen Committee. The local intermediate COPD service he set up in 2009 has also been recognised as an example of best practice by the British Thoracic Society, the Departmental of Health, the General Medical Council and the European Respiratory Society. Dr Suntharalingam provides outpatient opinions on all aspects of Respiratory medicine including asthma, COPD, interstitial lung disease, obstructive sleep apnoea, bronchiectasis and cough. Consultant in Respiratory and General Internal Medicine at the Royal United Hospital, Bath and an Honorary Consultant in Respiratory Medicine at Papworth Hospital, Cambridge.